Who Is Hellboy’s Villainous Blood Queen? 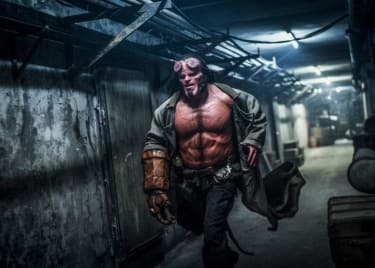 It’s been 11 years since fan-favorite comic book character Hellboy was last on the big screen, in 2008’s HELLBOY II: THE GOLDEN ARMY. 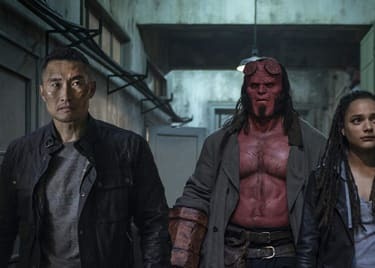 When Big Red makes his return to AMC on April 12, it’ll be with an all-new director, Neil Marshall, and a brand-new actor, David Harbour of “Stranger Things,” playing the half-demon hero. The new story is faithful to the original comics by Mike Mignola, and so another new addition to Hellboy’s cinematic world is a villain: Nimue the Blood Queen. But who is Nimue, aside from “a person with a really cool name”? Read on to find out. To start off, Nimue is based on a character from Arthurian mythology. 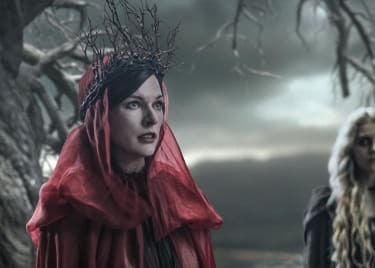 She’s an enchantress who learned as much magic as she could from the OG wizard Merlin — and subsequently imprisoned him in a tree. Or a cave. Or underneath a rock. Look, there are a lot of different versions of Arthurian mythology. There are different versions of Nimue, too. The “imprisons King Arthur’s kindly old mentor in a tree” thing sounds pretty villainous. But elsewhere in the stories of Arthur, Nimue can be found as the Lady of the Lake, who gives Arthur the magical sword Excalibur and raises the heroic knight Lancelot from the dead. Over the centuries, some writers — like Alfred, Lord Tennyson — have split “deceitful villain” Nimue and “sword-lobbing, Lady of the Lake” Nimue into two different characters. Oh, and she also has a ton of different names: Viviane, Niniane, Nyneve and Vivienne, just to name a few. The “Hellboy” comics, unsurprisingly, pick the more villainous bits of Nimue’s story for their version of the character. On the page, she’s a witch who learned the secrets of magic from Merlin, whom she subsequently imprisoned. She went insane and started worshipping an eldritch horror known as the Ogdru Jahad. Other witches, none too pleased, killed her, cut her body into a bunch of pieces and buried those pieces deep underground. Overkill? Maybe. Regardless, centuries down the line, the witches need a new leader, and Nimue’s body is still hanging around. Why not resurrect her by pouring a bunch of blood in her makeshift coffin? What’s the worst that could happen? Brought back to life, Nimue the Blood Queen takes vengeance on her fellow witches, calling herself the Goddess of War and raising an army so she can take over the world. So, there’s that. Jovovich is really known, however, for sci-fi and horror, which puts her right at home here. She played Leeloo in THE FIFTH ELEMENT and starred as Alice in all six movies in the RESIDENT EVIL series, based on the popular zombie video game franchise. As Alice, Jovovich faced a seemingly endless wave of demonic enemies, and we’re eager to see how she approaches the tables being turned in HELLBOY. 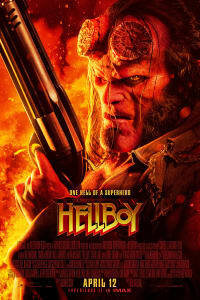 See HELLBOY when it comes to AMC on April 12.